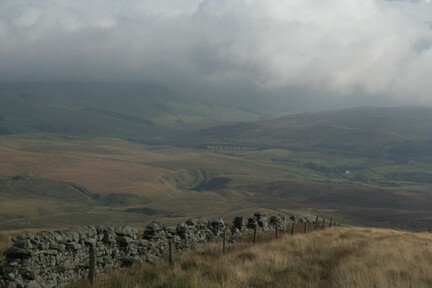 From Garsdale Station descend to the main Hawes - Sedbergh road and turn left. Turn right after 300m or so to follow the single track road into Grisedale. After 1/2 mile turn right at the T junction to follow another minor road. There are two options. 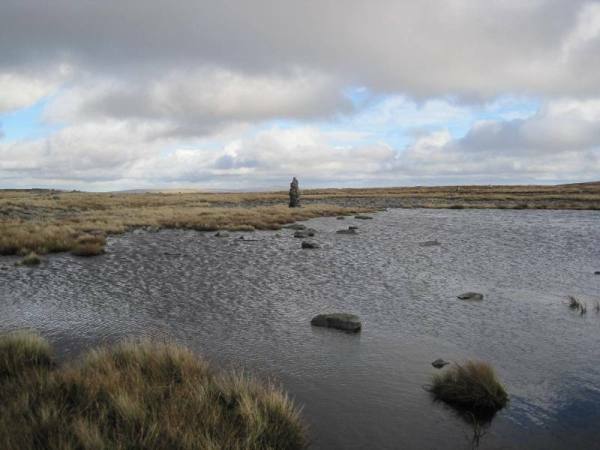 The first is to turn left on to the heather moorland at near the crest of the hill. This is immediately opposite a lay-by. From here proceed uphill for a short distance eventually following a wall around the contour of a small hill. Upon rounding the hill descend through a gateway to cross a small stream. 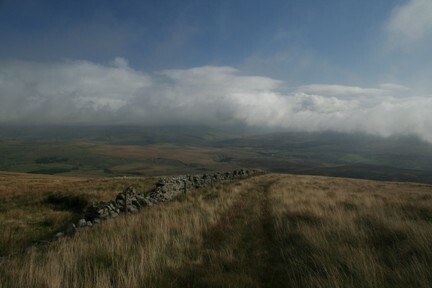 Then follow the left hand side of the wall to the top of of East Baugh Fell. On reaching the top pass through a gate to the other side of the wall. 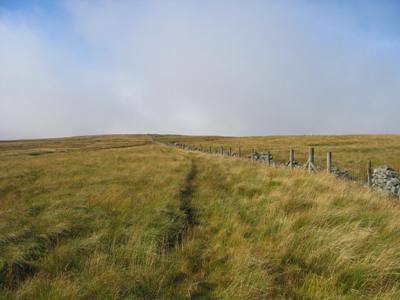 Proceed with the wall on the left soon reaching the highest point on the fell Tarn Rigg Hill [678m]. At this point a slight detour can be made to look at the East Baugh Fell Tarns and the view down into Grisedale. 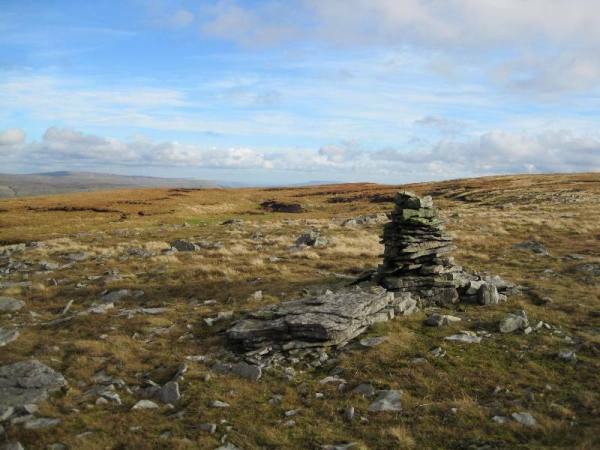 There are quite a few channels in the plateau which make a circuit of the top difficult. It is best to retrace to the wall before continuing. 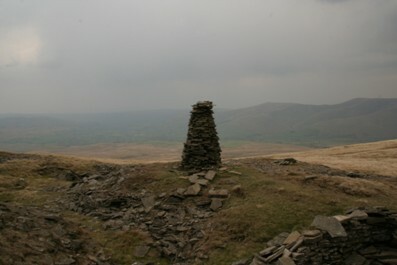 Otherwise continue alongside the wall to reach the trig point at Knoutberry Haw [676m]. 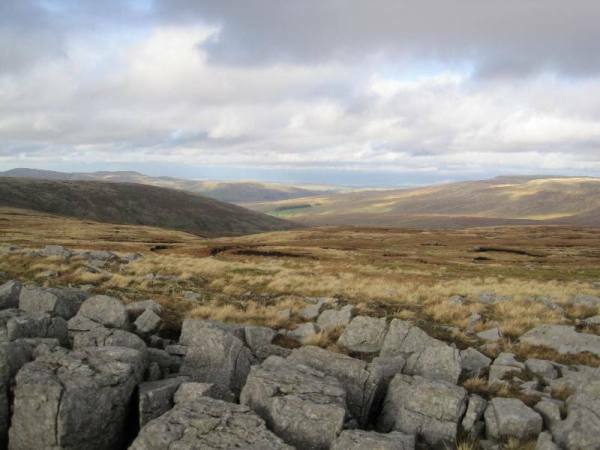 After another 400m or so bear right on to the open plateau of West Baugh Fell. Navigation could be difficult in cloud as there are no walls. 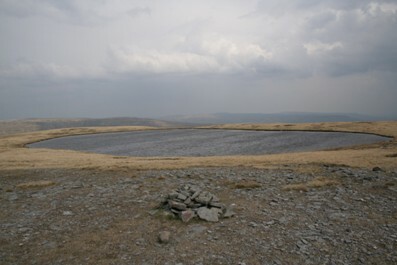 However pass through the remains of an old quarry and continue due north for a short while where West Baugh Fell Tarn should come into view. 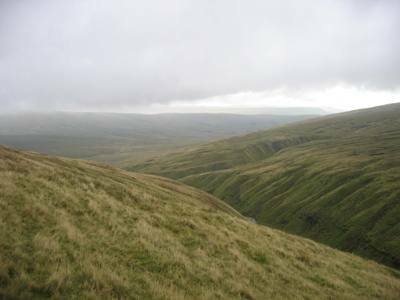 On leaving the tarn navigate down the shoulder of the hill in a north-easterly direction aiming for just above the bend in the upper course of the River Rawthey. 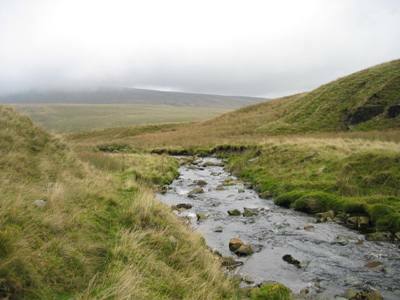 Take extreme care when crossing the stream is in spate. Once on the other side the ground here can be a little boggy. 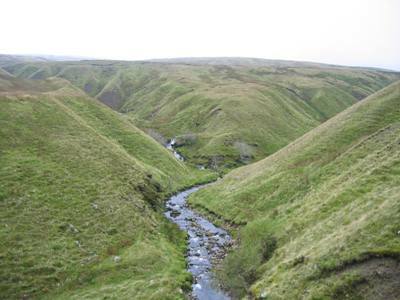 Proceeding to the top of this valley locate a feint path on the left hand [northern] side. The path winds its way over the watershed and can be difficult to spot in places but eventually emerges at the top of Grisedale. Crossing the stile there is an unpleasant boggy enclosed section before becoming a cart track passing to the left of East House and then gaining height over the shoulder of Grisedale Common. Look for a gate and stile in the wall [just visible on the skyline] and then proceed steeply down to the railway line at Grisedale Crossing keeping left initially and then diagonally right towards the footbridge and a house which will be in view. Continue along the access road to reach the main road. Turn right and continue along the road for 1/2 mile to reach the Moorcock Inn. Rawthey Gill - take care when crossing!